We can't seem to grow vegetables in our ground her in Southern New Mexico. I suspect the former owners over sprayed for weeds. We want to build a fence to seclude a portion of our back yard. The idea popped up that we could use the fence to also include a raised garden all the way around facing inward to our secluded spot. 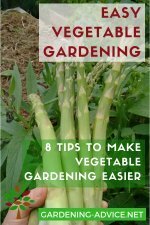 At first I was considering using cross ties, but the thought of creosote surrounding the roots of our vegetables turned us off quickly. 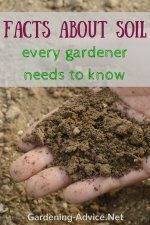 What materials should be used to hold the soil and our garden? I need some advice on this. 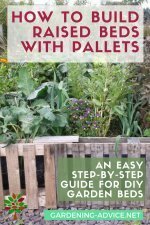 there are different materials available for building raised garden beds. You can buy a raised bed kit that has everything included. This is probably the easiest and quickest option. Some of them are available with cedar wood. The Red Cedar timber does not need to be treated with toxic chemicals and will last for years. Alternatively you can you use boards made out of resin or composite. Check out Burpee or Amazon.com for Raised Garden Beds . 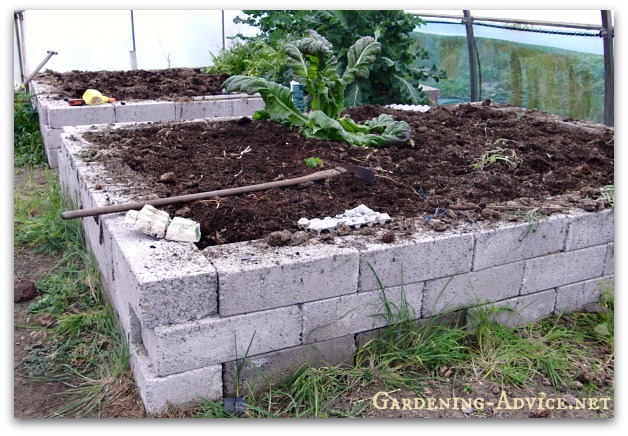 You can also use your own construction for building raised garden beds. If you use timber that has been treated with creosote line the inside with plastic so the soil is not in contact with the timber. Using building blocks is another alternative to using timber. We built a concrete block raised bed last year out of building blocks laid flat on each other. We chose the large, heavy blocks and just stacked them without using concrete. This worked very well, is maintenance free and will last forever! Please note: Some of the links on this site are affiliate links. If you buy through these links we will make a small commission that will help to support this website. 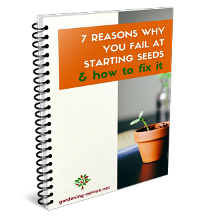 This will enable us to grow this site and bring more free gardening advice to you. The commission we earn won't increase the sales price for you.